Stress kills. If we're going to be friends then I figured I'd go ahead and introduce you to this blunt, but loving side of me. At the end of the day I want what's best for you. Stress is not it. That's not to say that stress is not a normal part of life that we all deal with. It's the "deal with" part that I want to help you with. I believe that we should always have a go to toolbox of skills to rely on to help us cope effectively with the stress we may encounter when following our dreams. Wanting to be an entrepreneur is one thing, but properly preparing for the journey is another. 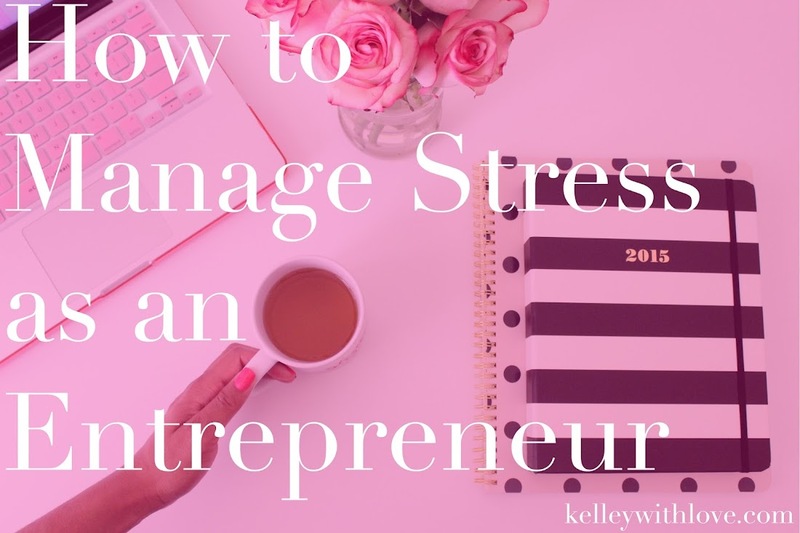 That's why today I want to help you beat stress before you even experience it. Check out your very own toolkit below. Be aware of what you are feeling and why you are feeling it. By the time we realize we are stressed it is often after we have hit the point of being overwhelmed. The key is to know what triggers stress for you and to cope with immediately instead of letting build up. Clarity often comes from simplifying. If you need clarity it's good to get the problem out and then break the problem down. Start by writing the problem down and then breaking it into small parts. Solve each part until you've solved your problem and found clarity. When things get tough remind yourself of why you started. Your goal should always be in the front of your mind. Your why should be so strong that you refuse to quit until you've accomplished what you set out to do. Remember to always work from a creative mind and not a competitive mind. When we are competitive we compare ourselves to others and have a limited mindset. When we are creative we do not compare ourselves because we know we are unlimited and that there is more than enough for all. Instead of thinking of the barriers visualize your desired outcome. Take a few minutes to see yourself having already achieved your goal or dream. Visualize how you will feel, act, and think. When we visualize we not only relieve stress, but we also keep ourselves motivated. We often face the most problems and stress when we are about to break through. It is up to us to realize this and pass the test. I like to think of it as leveling up. When you're facing a problem or stress, remind yourself of your dream and that this will not make or break your dream. Face the problem or stress you are dealing with head on. What is causing you the most stress on your entrepreneurship journey? Hi Kelly. I can relate to number 2 on the list so much. As soon as I began to simplify my life, my vision and goals started to become more clear. As an entrepreneur, it's beyond important to have clarity. Your vision is the basic foundation for everything you do. Great post!